image: CraftsUnleashed This week for my scrapbooking friends! 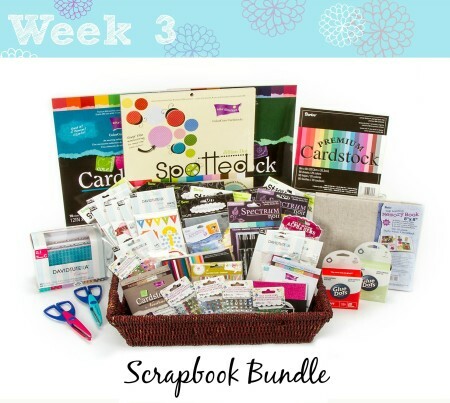 Crafts Unleashed is offering a scrapbook bundle for their National Craft Month giveaway!! To enter just follow them on Instagram at @ConsumerCrafts and post a photo of your own craft project with hashtag #NCMatConCrafts. The entry period for the scrapbook bundle prize ends on March 23rd! Good Luck! 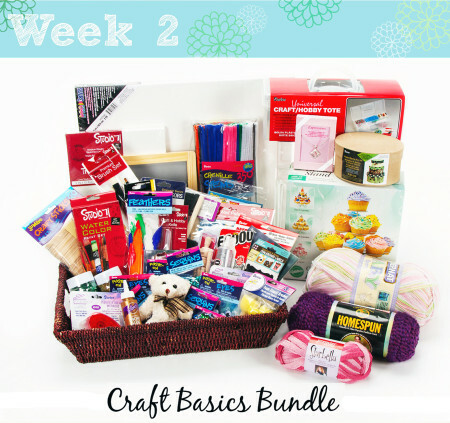 image:CraftsUnleashed This week Crafts Unleashed is offering a great basic crafts bundle prize in their National Craft Month Giveaway! To enter follow them on Instagram at @ConsumerCrafts and post a photo of your own craft project with hashtag #NCMatConCrafts. Easy peasy! 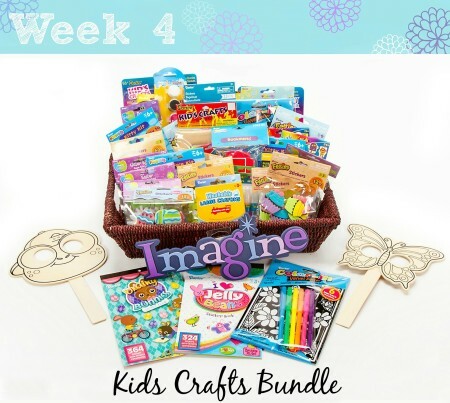 The entry period for the craft bundle giveaway ends March 16th! Good Luck! image:PlaidOnline Plaid is getting in on the National Craft Month giveaway train with a Mod Podge Giveaway! 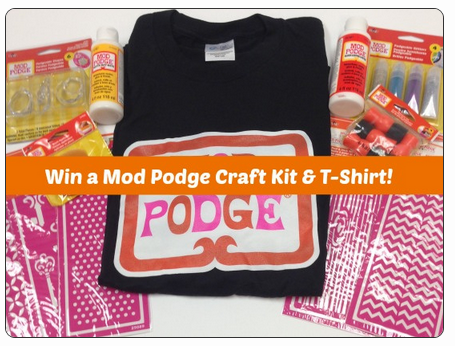 Win a Mod Podge Craft Kit and t-shirt! To enter pop over to their blog! This ends on March 9th so pop over there today! Enter Here! 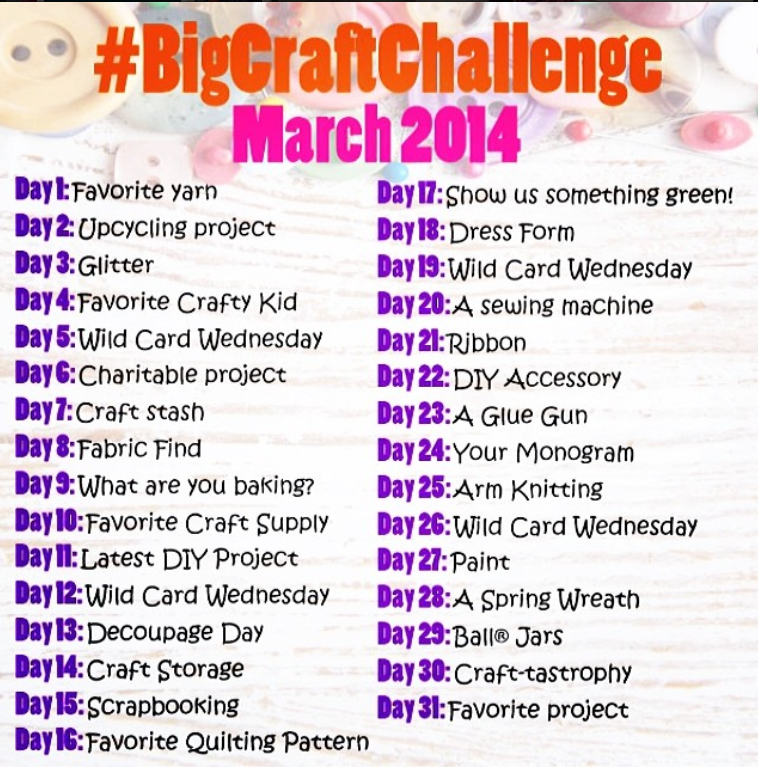 Big Craft Challenge at Joann Fabrics!